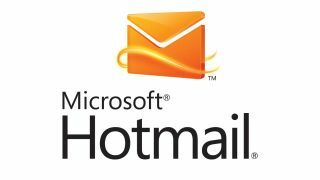 Microsoft has admitted that it faces a major challenge in getting people to give Hotmail another go, despite the great strides taken in making the webmail service significantly better. Speaking to TechRadar, Microsoft Group Product Manager for Windows in the UK, Ian Moulster believes that people's perception of hotmail is based on the service as it was five years ago, and believes that the real trick is persuading people to give the service another try. "The perception issue in itself causes people to not want to switch or not to even look," said Moulster. "People think of Hotmail and think of the way it was five years ago with lots of spam, slow and clunky." "They are using Gmail or Yahoo mail and it seems to work – and they think of Hotmail and think of the way it was five years ago with lots of spam, slow and clunky. "They think it's going to be hard to switch anyway so they ask 'why would I switch?'. "It's an interesting problem to have. There are lots of cool things in Hotmail that people would look at and say 'that's pretty cool and it will make my life easier'." Moulster believes that Microsoft as a whole needs to be more vocal about the strides its online services like Hotmail and IE9 have come, as well as talk about the impressive Skydrive cloud storage that is becoming increasingly important to the company and yet remains largely unknown to the general public. "We just don't shout enough about the stuff that we have got," Moulster added. "We don't shout about many products at all – there's very few we make a noise about. "We're primarily a software company and we have great products and the focus is on making those products as good as possible. "We do need to tell people about the things we do and make sure people are aware of how good these products have become as well and I put IE9 in that bracket as well. "I don't think people realise how much better they are now; just how good those products are."